To be honest, I don’t use a weather app (I use Google Now). And even if I do sometimes, I don’t stick to it for long. I just install it for review purpose, test it for a few days, do the review, and uninstall it. That’s how this work. A few days back I installed Weather 360, for review purpose, and I don’t feel like uninstalling it. I can’t see myself removing this app from my phone any soon. It is just like any other app but the amount of control it offers is just amazing. 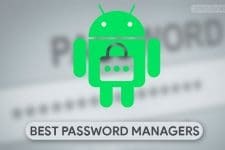 Continue reading to know more about this awesome app. First of all, the app is very smooth and has user friendly interface. After launching the app, it will ask you to enter your location just like any other weather app. As you type it will make some suggestions regarding your location. 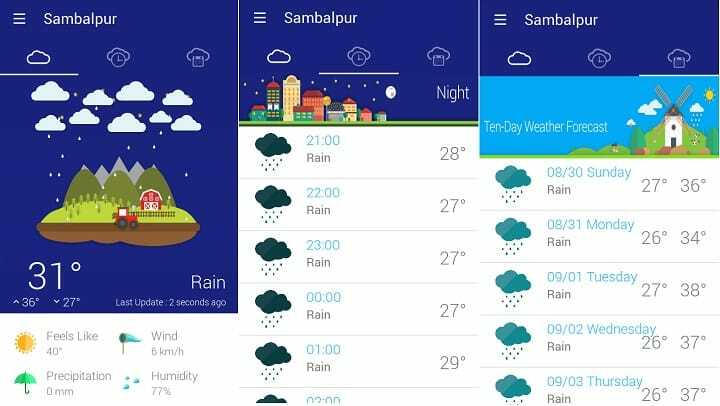 The app is basically divided into three panels – the first one shows the temperature, wind speed, and humidity level, along with weather animation; for instance, currently it is raining in my area so it is showing a rain animation. The animation takes more than half of your screen which looks good. The second panel shows expected weather condition for the whole day on hour basis. And the third panel shows weather forecast for the next 10 days. Everything is presented very beautifully. It is a perfect combination of minimalism, simplicity, and material style. Swipe to the right to access settings and other functions of this app. On the top there is an option through which you can add multiple locations. From the settings menu you can change location, date and clock format, measurement unit, update interval, and weather provider. You can choose between Word Weather Online (free), Wunderground (paid), and Forecast.io (paid). 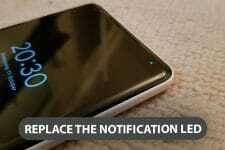 A cool function is that it places a weather info bar in the notification area. That means if you are using some other app and want to check weather, you don’t have to minimize the current app and open Weather 360. You can check the weather from the notification area. 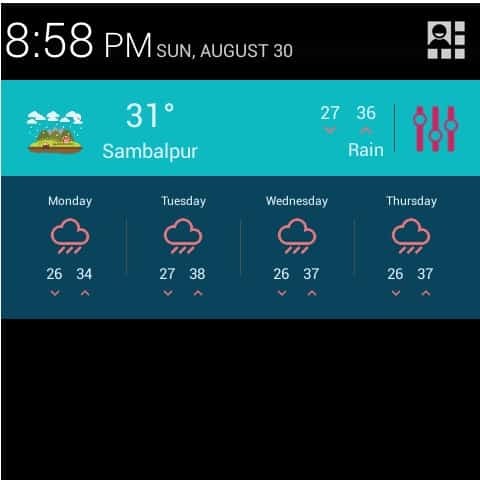 It also have homescreen widgets which are available in various sizes and are very customizable. You can change the color of each and every aspect of the widgets. 20+ themes are available from the beginning. If you don’t like those themes you can create your own themes. A widget theme creator is available within the app. If you want you can also buy some themes and other stuff from the store. That is Weather 360 and it’s going to be in my phone for a long time. For me, it is the best weather app. Do check this app and tell us whether you liked it or not! 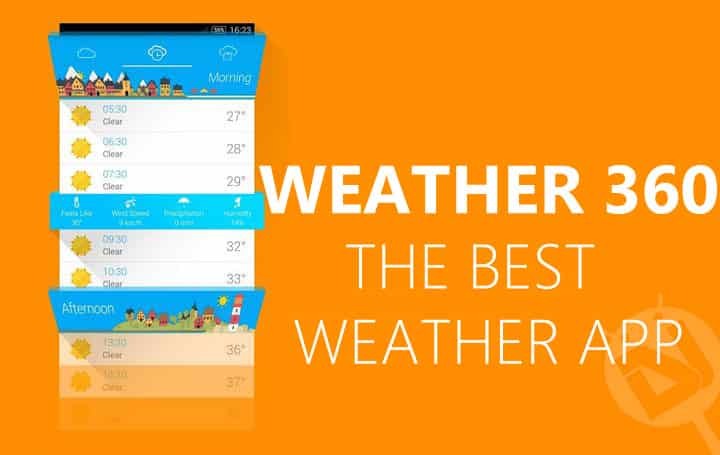 If you use any other weather app which you think is better than this one, do let us know in the comments section below!